What is that ancient secret? Are you ready to face the truth? 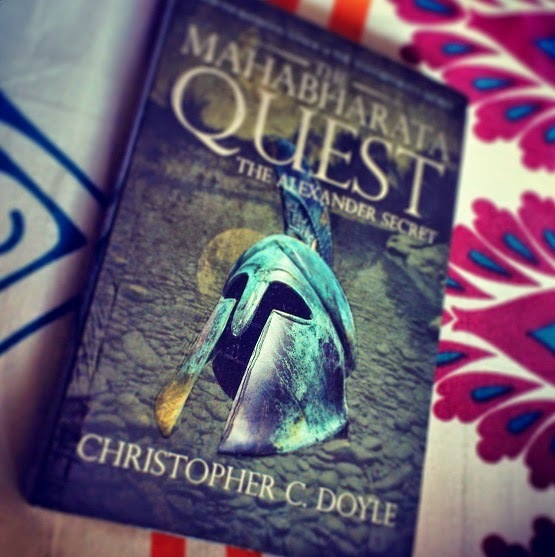 Alexander the Great begin his quest for the secret of God on the basis of the myths of "The Mahabharata". In Greece, ancient tomb of the Queen is found. What is there, that the blood has been shed, people are shot, secrecy is kept to recover that "something"? How is it going to affect our present and change the future . What is happening in Delhi and Jaungarh Fort? Who are those people who will begin their quest to uncover the deadly secret? Will they succeed? Such are the questions which will crop up and eventually will be answered. Mystery in each page, a perfect blend of suspense, thriller and emotions. Its a novel which is not just a fantasy reading but is based upon science & technology and is a product of lot of research. History, myth, science and technology have gone hand in hand to present you this interesting story. This is his second book by Christopher C. Doyle, first being "The Mahabharata Secret". 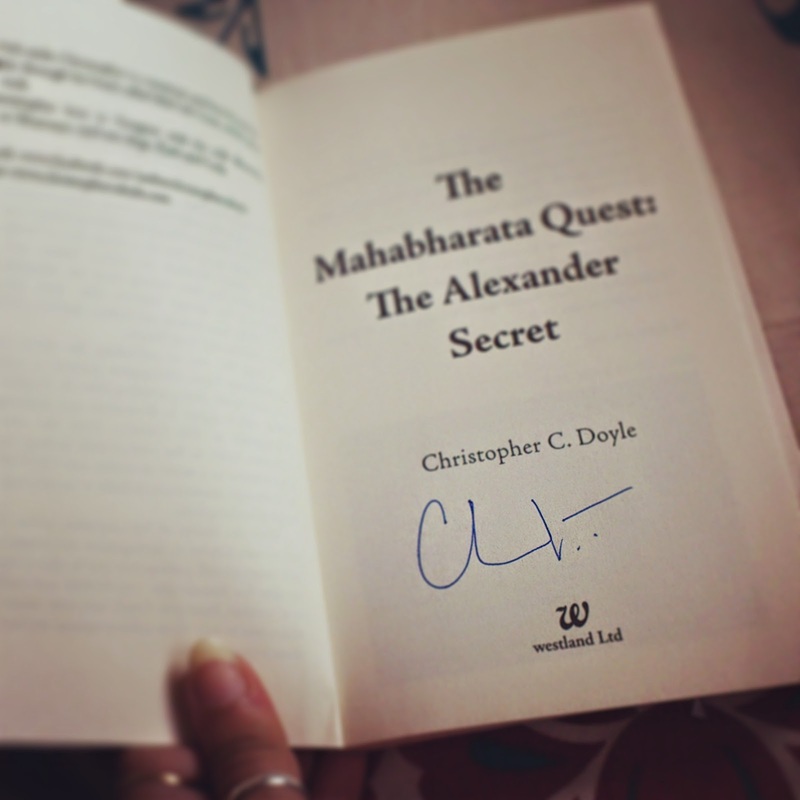 He is the kind of author who keeps the reader gripped to its story. He was brought up as a boy on steady diet of books from classical literature to science fiction and fantasy to poetry and plays, he had dreamed of being a writer from an early age. before taking to writing he pursued a career in the corporate world, has graduated from St. Stephens College, Delhi in Economics and studied Business Management from IIM Calcutta. he has worked with various MNCs before setting up a strategic consultancy firm "Dynamic Results India" in India in partnership with Dynamic Results LLC, based in USA. He has written many articles on Management and Business for Indian and International publications and is also a regular invited speaker for international conventions and conferences. He is also a certified Executive coach. He is presently residing in Gurgaon with his family and apart from what is mentioned above, is an avid traveller, musician, swimmer and tennis player. As much as he likes writing, he loves reading too. "Gripping" is what I would say. Great blend of science, history, myth and technology. Hats off to his research. I just could not leave this book till I finished it. The only thing which I felt is that I found that some sequences are inspired by the Hollywood movies National Treasure and Resident Evil. I am not complaining but just making a point that although you may feel that connection while reading it, the story feels fresh by way it is perceived and how the myth of Mahabharata has been interpreted. The science behind myths of Mahabharata as shown / interpreted in the book is really commendable. If you love science, mystery and mythology, this book is for you.